BRUSSELS — NATO allies are pushing back against U.S. criticism that they are not spending enough on defense, as President Donald Trump ratchets up pressure ahead of a summit next week. 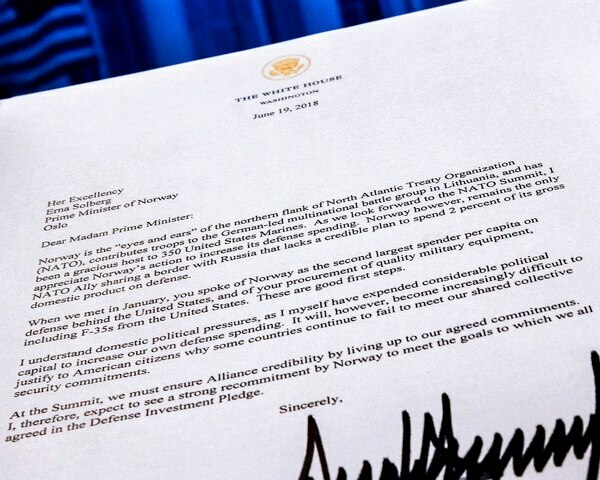 In the last few weeks before NATO’s July 11-12 summit in Brussels, Trump sent letters to Norway, other European allies and Canada demanding that they boost defense spending. The bonds between Europe and North America are under strain and there’s no guarantee the trans-Atlantic partnership will survive, the head of NATO warned Thursday. After Russia annexed Ukraine’s Crimean Peninsula in 2014, NATO allies agreed that year to end defense budget cuts, start spending more as their economies grew and move toward a goal of 2 percent of GDP for defense spending within a decade. Norway has spent “far beyond” NATO’s target on new military equipment, he added. U.S. President Donald Trump said on Thursday that NATO allies that do not meet the organization’s defense spending targets would be “dealt with,” and singled out Germany as one country he said was not doing enough. The upcoming NATO summit is the first major meeting since the fractious Group of Seven talks in Canada last month. NATO officials are concerned that trans-Atlantic divisions over trade tariffs and the U.S. pullout from the Paris global climate agreement and the Iran nuclear deal could undermine alliance unity. Trump dressed down his NATO counterparts last year, publicly berating them for not spending enough and claiming they owe the U.S. money. When he first came to office he even suggested that the U.S. — by far NATO’s most powerful ally — might not protect countries that don’t pull their weight. Belgian Prime Minister Charles Michel played down the importance of the letter he received, saying it was “typical” of things sent ahead of meetings like the NATO summit. “I am not too intimidated by this type of mail,” he said, adding that Belgium is doing its part in the military alliance. “We participate in many military operations with our NATO allies and it is this government that decided to end the systematic reduction of defense spending,” he said. In Canada, Defense Minister Harjit Sajjan’s chief of communications said the government has committed to increasing funding by more than 70 percent over the next decade. “This plan has been rigorously costed, is fully funded, and serves Canada’s defense needs. It also upholds our long-standing role as an active contributor to global peace and security,” said Director of Communications Renée Filiatrault. Despite the political rhetoric from the Trump administration, the 2 percent figure does not concern spending on NATO and no one owes the alliance or any ally money. It is about the size of national defense budgets only. 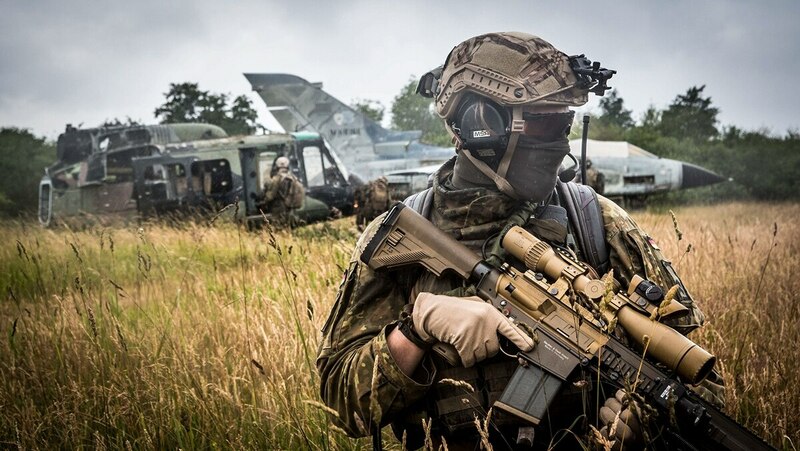 Other factors that nations take into consideration when looking at burden-sharing are the amount of money spent on new military equipment and contributions to NATO operations. NATO’s secretary-general welcomed President Donald Trump’s new strategy for the 16-year Afghan war and said the U.S. leader’s insistence that NATO members increase their defense spending is achieving positive results. But the U.S. spends more on defense than all the others combined — 3.61 percent of GDP in 2016, or around $664 billion. That’s roughly two thirds of total spending on national budgets, according to NATO estimates. Trump argues that a pledge was made and must be kept. “The president has publicly shared his frustration that he’d like to see other countries step up and do more, particularly when they have the capability and they’ve made the commitment to do 2 percent. He’d like to see them fulfill that commitment,” White House press secretary Sarah Huckabee said Tuesday. “The United States has more than surpassed that and is carrying a lot of that burden and he wants to see other countries that have the capability to do that step up and do the part that they committed to do,” she told reporters. Others argue the 2 percent pledge is a guideline only. Olsen reported from Copenhagen, Denmark. Raf Casert in Brussels, Darlene Superville in Washington, Frank Jordans in Berlin and Toronto-based Robert Gillies contributed.